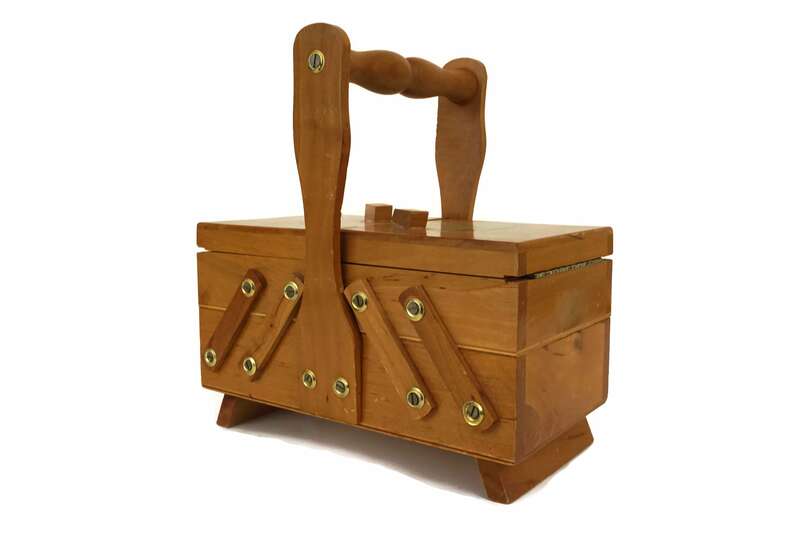 This charming sewing box dates from the 1970s and features an accordion system that opens to reveal three inner storage compartments. 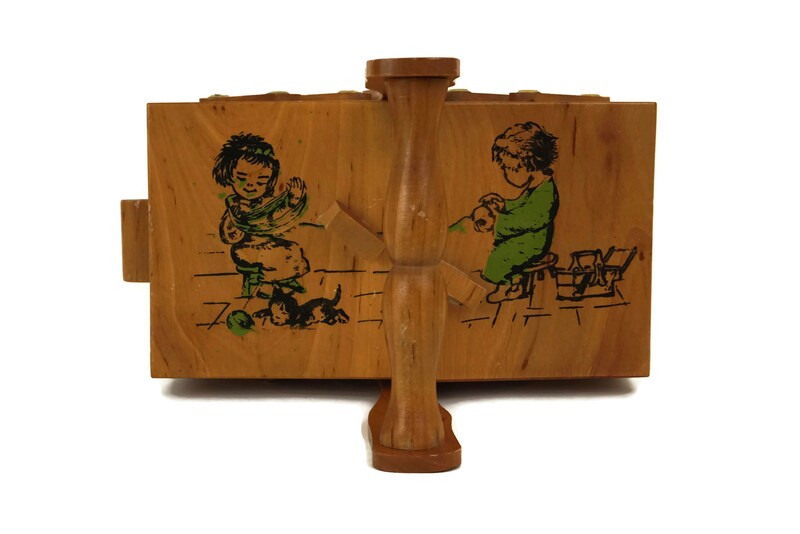 The lid has been decorated with a delightful illustration of two children and a kitten playing with a ball of wool. 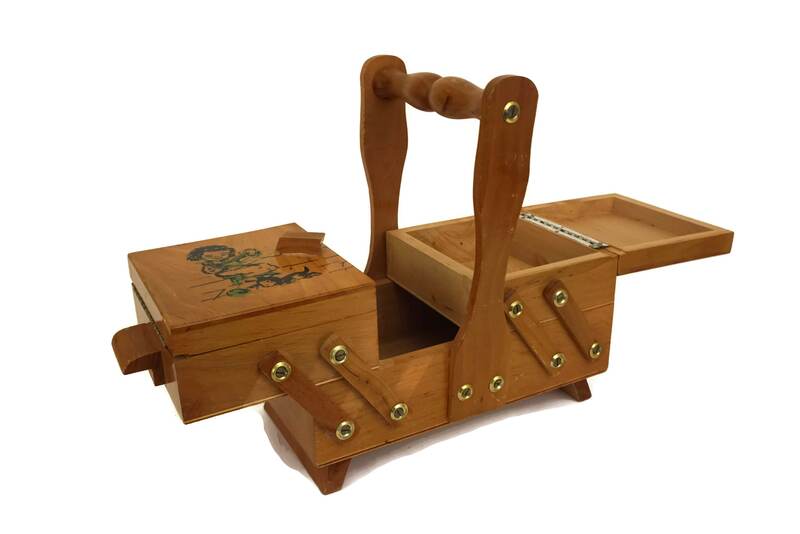 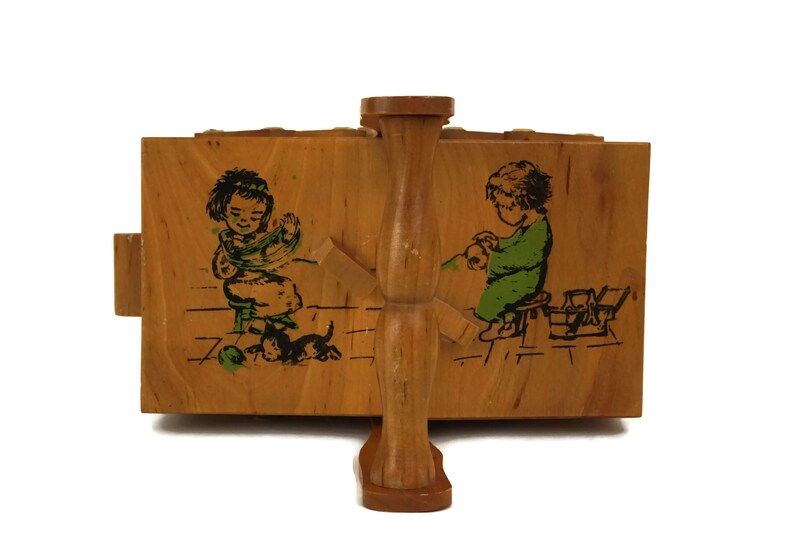 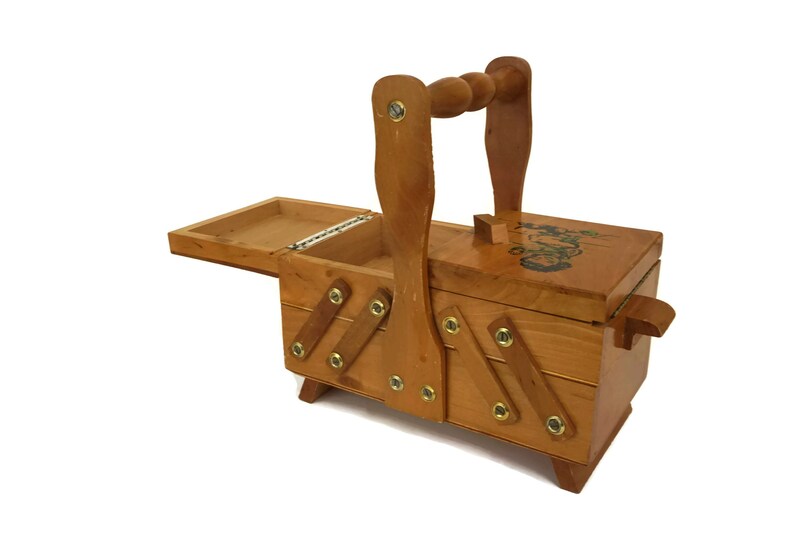 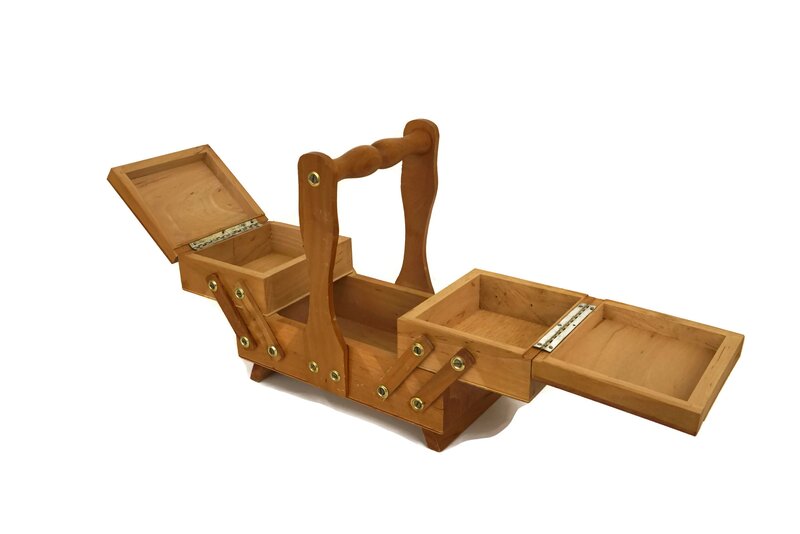 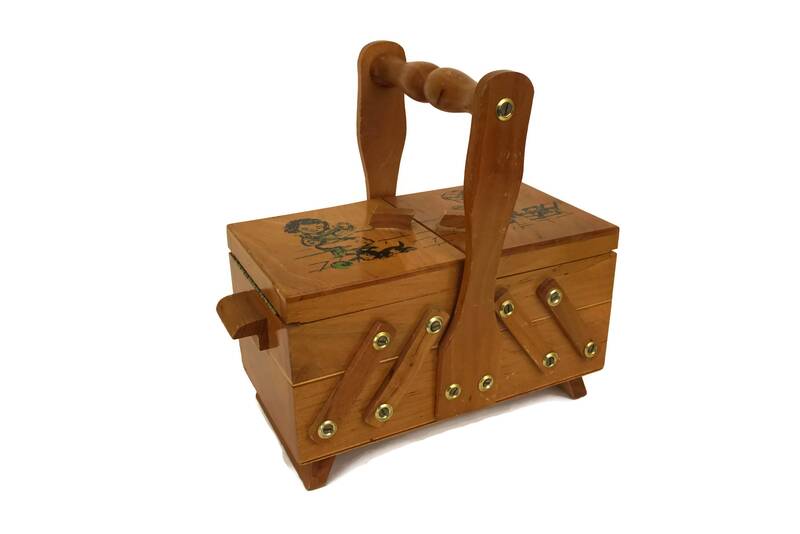 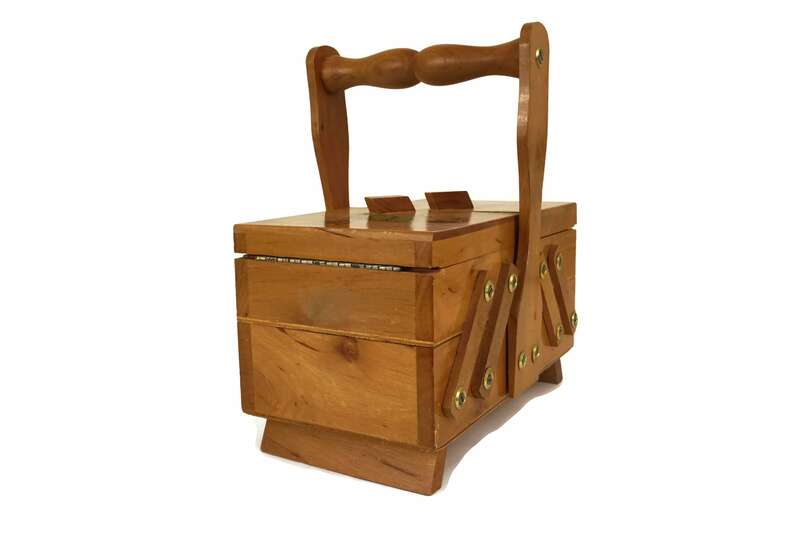 The sewing box could easily be re-purposed to store jewelry or other essentials for kids craft. 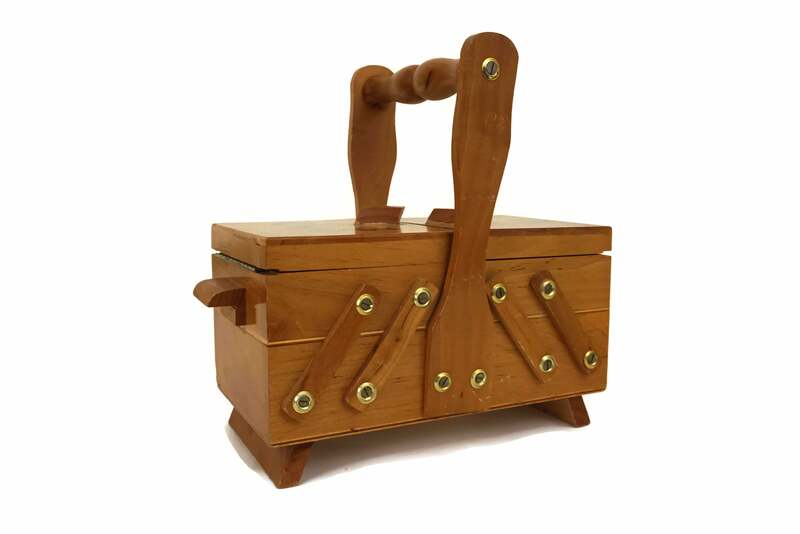 (20 cm x 20 cm x 10 cm). 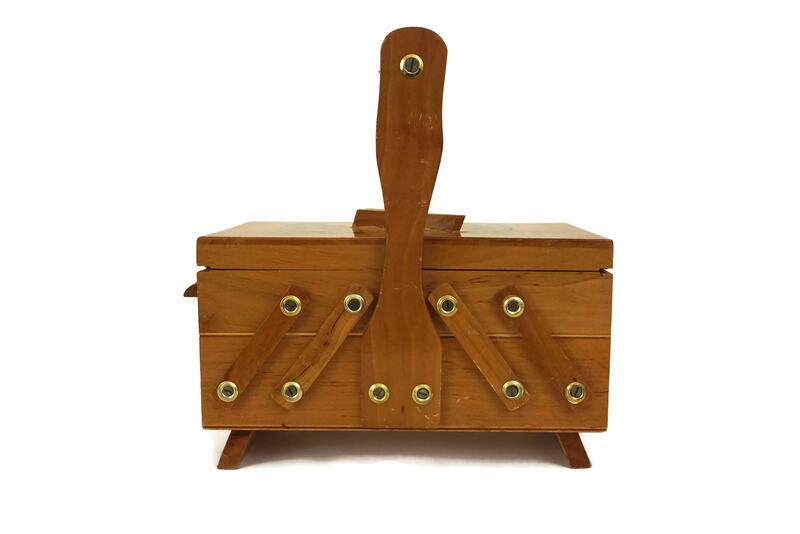 The sewing box is in very good vintage condition with light scratch marks to the surface.